I knew that SOLO: A STAR WARS STORY was going to be creatively lethargic and uninspired within my first 60 seconds of watching it. During that time viewers are introduced to three stanzas worth of exposition heavy title cards that are kind of blandly and lazily thrown up on screen. Now, one of the most iconic and memorable images of the entire STAR WARS franchise is the sight of the film's opening title cards migrating up the screen and into the backdrop of space with John Williams' triumphant march playing in the background. Why the makers here opted out of that established stylistic choice over what they ultimately selected is positively befuddling to me. Should a lackluster opening title card sequence utterly derail my overall enjoyment of an entire film? No. Of course not. That would be hyperbolic and silly. Yet, it's but one small domino that sets off a change reaction of other dominos falling throughout SOLO: A STAR WARS STORY that left me feeling cold by the time I exited the cinema. This is the second in the Disney branded standalone STAR WARS films that are still a part of the larger cinematic universe of films set in a galaxy far, far away, but are nevertheless separate entities from the overall Skywalker family saga of Episodes I through VIII. The first standalone effort was 2016's superb ROGUE ONE, which served as a direct prequel to 1977's A NEW HOPE, whereas SOLO is opting to tell an origin story of one of the franchise's most legendary and beloved characters that was made famous in a career jump starting performance by Harrison Ford. The problems with SOLO - outside of its deeply problematic production history (more on that in a bit) - is (a) it never really tells a compelling and worthwhile Han Solo origin story that thoroughly enriches the character and (b) trying to have someone other than Ford fill the immortally big shoes of this character is very, very dicey. Taking place roughly a decade before the events of ROGUE ONE and A NEW HOPE, SOLO chronicles the development of the universe's most dashing renegade space pirate as he evolves from a small time scammer on a desolate planet to a heist perpetrating scoundrel and eventually into the good guy with the proverbial heart of gold that we meet in A NEW HOPE. Of chief interest to the overall story early on is his life on his home planet of Corellia, a downtrodden garbage dump of a world that's used by the Empire for making ships and weapons of mass destruction. Han (Alden Ehrenreich) has aspirations of leaving his home with the young love of his life in Qi'ra (a feisty Emilia Clarke), but as they try to sneak their way past an Imperial checkpoint they become hopelessly separated with no apparent hope of meeting back up. Dejected and heartbroken, Han decides to enlist in the Imperial military and begin a new life. Years pass and Han - never a pushover when it comes to following orders - finds it difficult to acclimate to the military life, but during that time he hooks up with many that would ultimately shape who he will become. He meets his mentor-like figure in Beckett (Woody Harrelson), who allows the young Han to join him and his crew on a series of high stakes heists for his boss, crime lord Dryden Vos (Paul Bettany). It's also at this time that Han has a very chance first encounter with a near 200-year-old wookie named Chewbacca (Joona Suotamo) and the high stake gambling Lando Carlissian (Donald Glover), who eventually - as we know via a brief exchange in THE EMPIRE STRIKES BACK - forges a friendship with Han and eventually loses his ship (The Millennium Falcon) to him in a game of cards. When a caper to nab a very big score for Vos goes horribly wrong for Becket and Han, the team realizes that they must embark on an even riskier mission for the maniacal criminal...or be terminated. While plotting their next move Han, rather predictably, rekindles a romance with the woman he thought he once left behind for good. One of my main misgivings about SOLO going in is that it takes a character that was already chiefly established as a wonderfully enigmatic rogue that had an unpredictable edge through the original series of STAR WARS films and unnecessarily tries to provide a detailed back story that most series fans have not really been clamoring for during the last 40-plus years. Han Solo is a character that somehow doesn't require a fleshed out history to make him more intriguing, but SOLO endeavors to do just that, with middling results. The screenplay - under the watchful eyes of co-writer Lawrence Kasdan (writer of EMPIRE STRIKES BACK and the recent THE FORCE AWAKENS) - never really finds a truly novel manner of tapping into this character's pre-Rebellion life. ROGUE ONE, to its credit, told a fresh new tale involving new characters that had meaningful connections to A NEW HOPE, whereas SOLO seems pretty safe and pedestrian as it taps into obligatory heist movie conventions. The dramatic stakes in SOLO rarely, if ever, feets weighty and grave because we can see where's it's going from the beginning. The mediocre origin narrative is unfortunately married to the misguided casting on the titular character. Alden Ehrenreich is a fine actor, especially if you saw his gut bustingly funny work in the Coen Brothers' HAIL, CAESAR! or his more serious turn in the underrated Warren Beatty drama RULES DON'T APPLY. Casting someone to play a young version of a character that's so deeply entrenched in our collective subconscious by one worshipped celebrity is a Herculean task that doesn't make me envy the job of the hired actor in question. Yet, Ehrenreich looks physically nothing like a young Ford (which, to be fair, should be part of the casting prerequisite), and he never manages to capture Ford's nuanced and natural bravado and wry charm. Instead, Ehrenreich's charisma feels dutifully manufactured and forced and there's rarely a moment in SOLO where you 100 per cent buy that this Han Solo would eventually matured into the Han Solo of the original trilogy. Donald Glover, on the other hand, looks, sounds, and acts like a young, swaggering Billy Dee Williams as Lando while making the role smoothly his own (he walks away with the film), but this film is called SOLO: A STAR WARS STORY and not LANDO: A STAR WARS STORY. When a side character upstages the main one...that's a problem. Much of the remaining cast feels mournfully wasted. Woody Harrelson can be devilishly good when given just the right role in blockbuster films (see last year's villainous turn in WAR FOR THE PLANET OF THE APES), but here he seems oddly aloof and disinterested throughout the story as his conman with a murky past. Emilia Clarke injects some much needed feminine power to this mostly sausage fest of a movie, but she too occupies a character that seems oddly underwritten and is used for moving the plot forward in manipulative ways, especially in its third act. And as far as STAR WARS antagonists go, Bettany's Vos is pretty routine and one-note and fits neatly into mobster clichés, which makes it hard for him to stand out as a truly menacing and memorable villain. And there's even a wise cracking robot sidekick sprinkled in here in L3-37 (voiced well by Phoebe Waller-Bridge), a character that would have felt innovatively cool if it were not coming after the alarmingly similar K2S0 in ROGUE ONE. An egregious lack of conceptual imagination taints SOLO through so many facets, which may or may not have everything to do with the fact that Disney very publicly fired original directors Phil Lord and Chris Miller deep into production and replaced them with Ron Howard, which initially seemed like an ideal choice, seeing as he's a George Lucas disciple and even directed WILLOW for him in the late 80s. The best compliment that I will give SOLO is that, considering its production woes (Howard apparently reshot up to 80 per cent of it), the resulting film doesn't feel like an incongruent hatchet job. 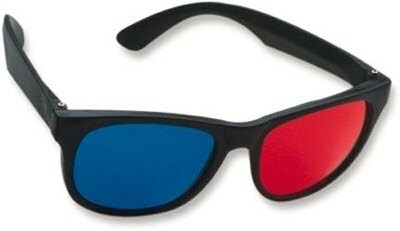 Having said that, SOLO: A STAR WARS STORY - despite the veteran presence behind the director's chair - is one of the most visually ugly films in the franchise. Considering the bright and vibrant hued poster advertising campaign leading into its release, SOLO is so dull, drab, and dreary and awash in sepias and greys that it feels like someone smeared grime on the lens. STAR WARS films should evoke a childlike sensation of legitimate awe and wonder in their sights, sounds, and otherworldly vistas, but SOLO feels pathetically like it's made up of the spare and regurgitated parts of past sci-fi action pictures. That's a shame. 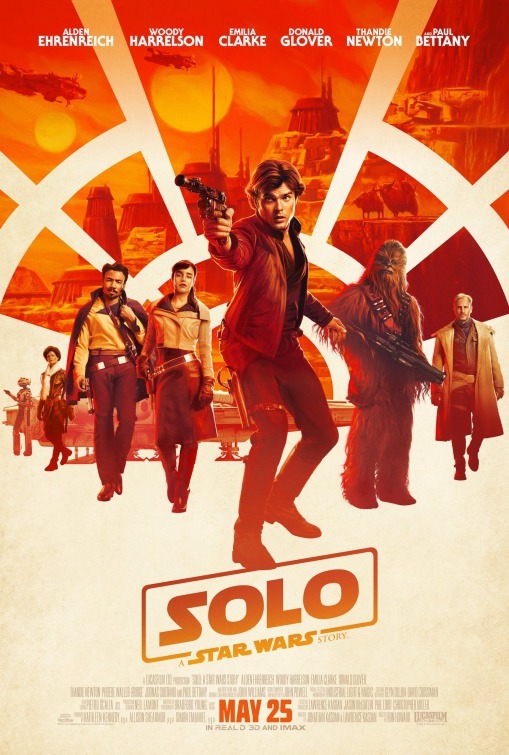 Perhaps the biggest finger wag of shame for this production should be directed towards Disney, and the corporation, for one reason or another, has been employing a hyper aggressive over saturation release strategy for STAR WARS involving a quantity of films versus quality of films mantra (SOLO is the fourth STAR WARS film since 2015 and comes just five months after the audience polarizing THE LAST JEDI). Disney seems so entrenched into their bottom line interests that they perhaps underestimate the willingness of even die hard fans to embrace these films that are released close together. That shows in the final product of SOLO: A STAR WARS STORY, which unfortunately has emerged as a sometimes serviceable, but mostly disposable and easily forgettable installment in this once iconic franchise. Have we reached a point when STAR WARS films - which once transcended the movies as true escapist events - have now just become perfunctory summer releases vying for attention amidst a large pack of competition? It seems that way, which leaves me having a bad feeling about what's to come with Lucas' once grand and sprawling space opera.